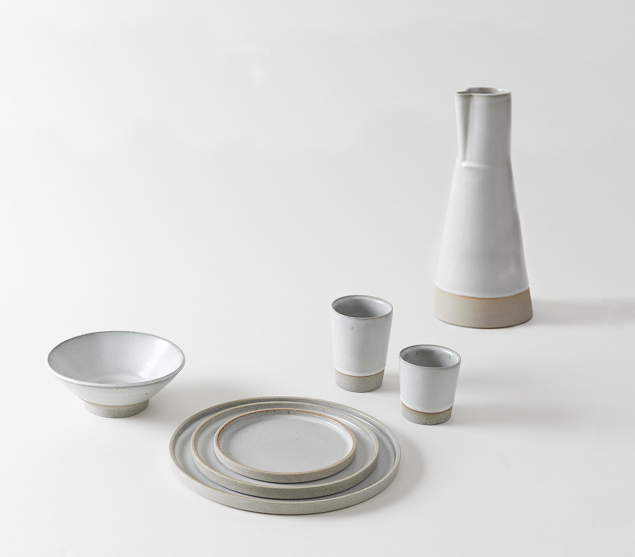 The orginal Carter Line is a result of a collective appreciation of great food, fine ceramics and functional beauty in design. The tableware is glazed and fired in hand-built kilns located on a historic ranch in the eastern hills above Napa Valley. The clay is formulated to echo the variegated granite stone of California’s Sierra Nevada mountains. This custom mix, when fired, expresses variation in response to the flame and atmosphere of each individual kiln firing. It is important that the clay is both strong and durable with a depth and character that gives individuality to each piece yet is consistent with the tonal range of the whole line. The glaze created is a custom smoky, waxy, white glaze with a soft, lustrous matte finish. The smooth, matte surface serves as a tactile counterpoint to the unglazed, textured granite clay exterior. A Collaboration between Shed and Carter & Co. 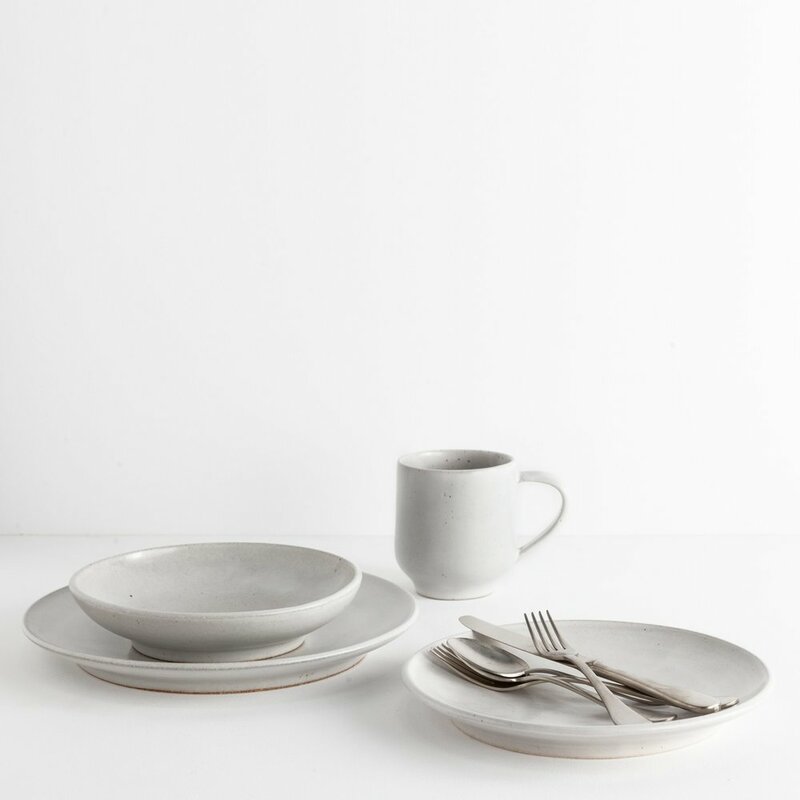 This dinnerware is crafted from stoneware and perfect for everyday use. The suite of plates, bowls, and ample mugs is casually elegant, each piece beautifully proportioned and detailed, with a softly lustrous white glaze. Each set includes a dinner plate, salad plate, pasta/soup bowl, and mug, all exclusive to SHED. Meet the Makers: A behind-the-scenes look at our relationships with farmers, artists, chefs, and crafters.